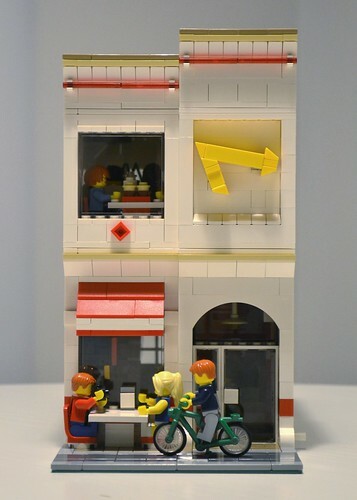 Brick Town Talk: Animal Style - LEGO Town, Architecture, Building Tips, Inspiration Ideas, and more! SoCal - (BTT) Don't confuse this place with that other red, yellow, and white chain that sells hamburgers unless you're looking for a fight - this is the real deal. The secret menu may be public record now, but the faithful don't seem to mind having more people speak their lingo in line.